I keep a pile of shredded leaves next the Kitchen Garden, and use this nutrient-rich product to replenish my beds each year. To hasten decomposition, the leaves are sprinkled with one cup of dried blood meal. Blood meal contains about 12% nitrogen, which, when combined with carbon (leaves), produces the heat that turns organic matter into compost. 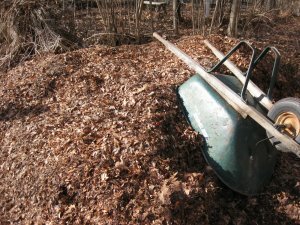 Now I’m off to the leaf pile, where both pitch folk and wheelbarrow await. Two boxes were filled yesterday…and I have ten more to go! Don’t miss a beat at A Garden for the House…sign up for Kevin’s weekly newsletter. What Gets You Through the Winter? 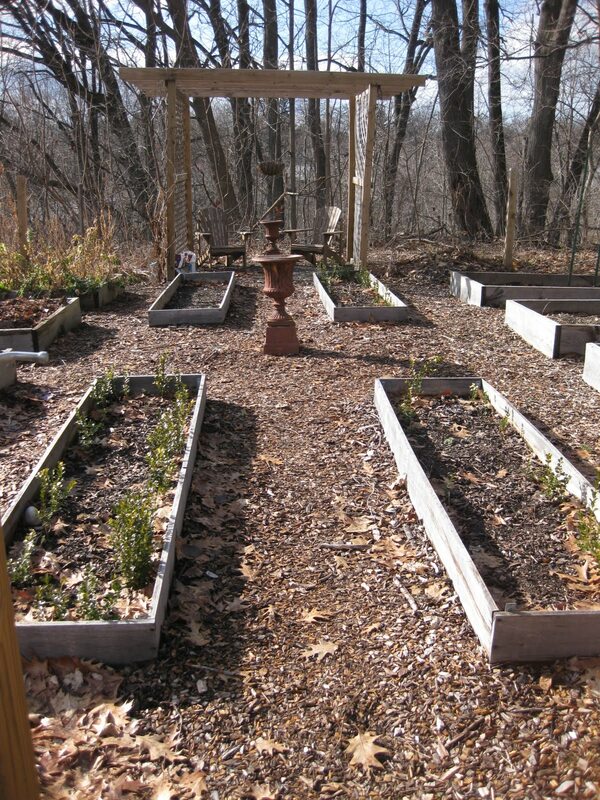 In the little warm spell that we had last week I loaded up the beds in my Veggie garden with leaves. I'll still need to top off with soil in the spring as last year was the first year for the garden and the soil in the beds settled quite a bit. Thanks for the tip regarding adding blood meal. I'll run out and pick some up. Randy – If you sprinkle your leaves with blood meal now, during winter, you probably won't need any additional top soil in the spring. 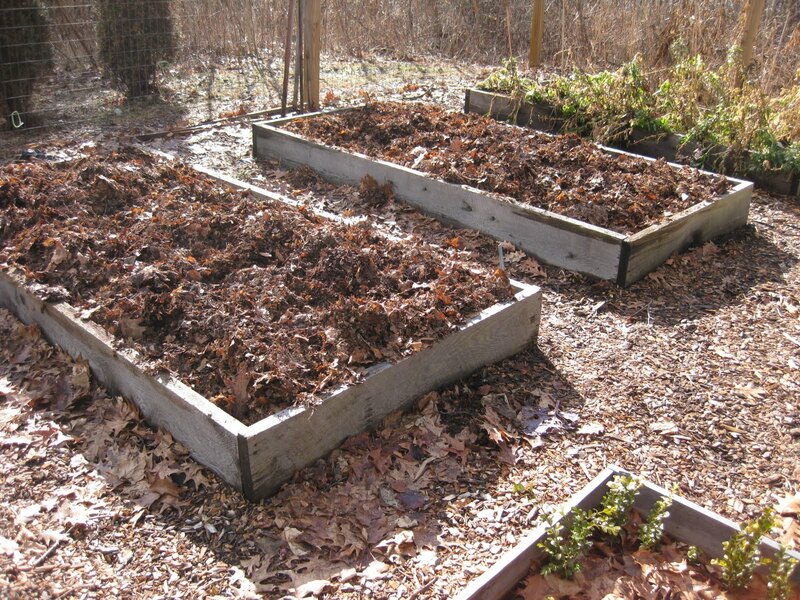 I pile my shredded material higher than the rims of the beds, which allows for setting during the composting process. Just curious: could you use straw and blood meal (or another nitrogen source) instead shredded leaves to replenish the beds? You are so lucky to be able to work outdoors today! I can't even see my veggie patch for all the snow! Sally – If I didn't have leaves, I would certainly use straw. Better still; I'd use salt-hay substitute, because its virtually weed-free. Adele – This fair weather is only temporary, I am sure. But I'm taking advantage of it while I can. I just returned from the Kitchen Garden, having completed all but 2 beds. Manana, as they say. Kevin, I hope you are able to complete your mission by Thursday. Friday's forecast calls for 17 degrees/day, and 8 degrees/night. Ditto for Saturday. Then back to our usually scheduled 20s and teens for the next week! Eric – thanks for the weather report! I'd better finish my last two boxes tomorrow. Otherwise, I don't want spring weather until…spring! Kevin, is there a good alternative to blood meal? We're vegetarian and try to avoid animal by-products wherever possible. Tammy – useful alternatives to dried blood meal are alfalfa meal, 2.5% nitrogen; and soybean meal, 7% nitrogen. Unfortunately, these are not always easy to find, at least in my neck of the woods. I should probably mention that leaves do not require the addition of nitrogen to become leaf mold. Kept moist and well-aerated, they naturally reach this fine, crumbly state in two year's time. Nitrogen simply speeds things along. Kevin, that's very helpful, thanks. I've used leaf mold for years without the addition, so maybe I'll keep at it while I look for the additions you listed. You are such a kind resource — I'm grateful to have found your site. Tammy – you are welcome. Thanks for reading! Hi, I have been reading your advise about shredded leaves being put on the garden. 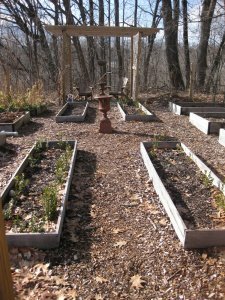 I now have a community garden plot and would like to use my leaves. I like the idea of free and put what you can to good use. We have oak leaves. Would these be good? How do you shred them. Would I need to purchase a shredder? I live on cape cod and last year put seaweed, again free and recycled, onto my garden. Would the above suggestions be good for speeding up the decomposition for the seaweed? I also put newspaper down before the seaweed and then some homemade compost. All is organic. Suggestions? Hi Joyce – I think dried seaweed is considered carbon, just as leaves are. So you can speed up the decomposition by adding nitrogen. These days I use cottonseed- or alfalfa-meal. Both are terrific sources of organic nitrogen.